1. Grass clippings are placed in a bin, where they decompose. For 0 ≤ t ≤ 30, the amount of glass clippings remaining in the bin is modeled by A(t) = 6.687(0.931)t, where A(t) is measured on pounds and t is measured in days. 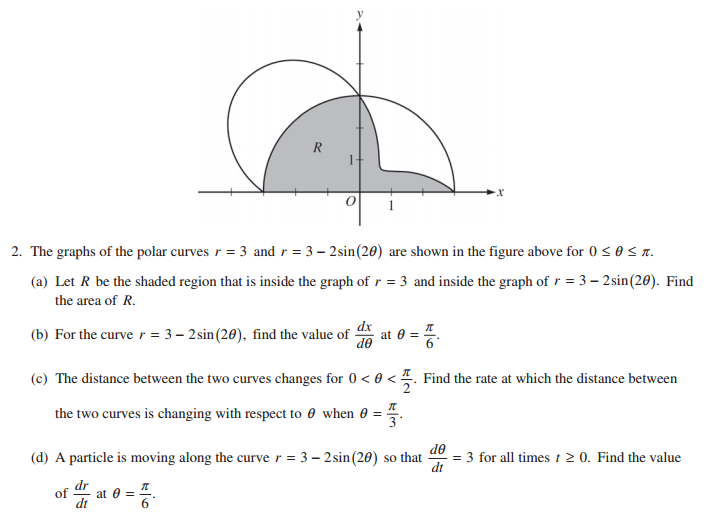 (a) Find the average rate of change A(t) over the interval 0 ≤ t ≤ 30. Indicate units of measure. (b) Find the value of A'(15). Using correct units, interpret the meaning of the value in the context of the problem. (c) Find the time t for which the amount of grass clipping in the bin is equal to the average amount of grass clipping in the bin over the interval 0 ≤ t ≤ 30. (d) For t > 30, L(t), the linear approximation to A at t = 30, is a better model for the amount of grass clippings remaining in the bin. Use L(t) to predict the time at which there will be 0.5 pound of grass clippings remaining in the bin. Show the work that leads to your answer. 4. Train A runs back and forth on an east-west section of railroad track. Train A’s velocity, measured in meters per minute, is given by a differentiable function VA(t), where time t is measured in minutes. Selected values for VA(t) are given in the table above. 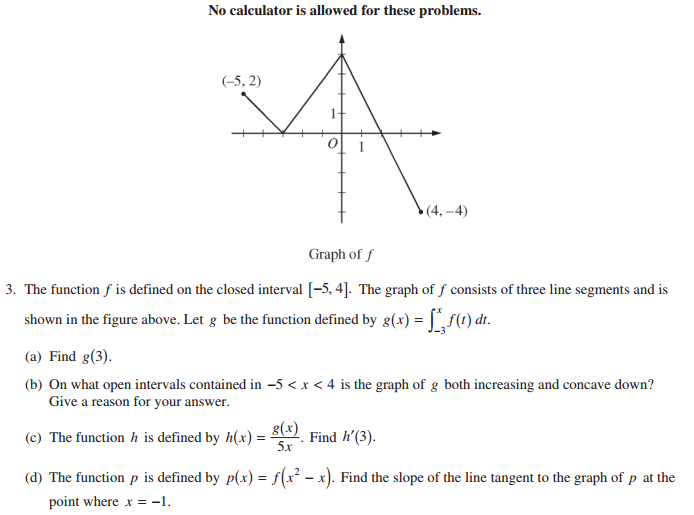 (a) Find the average acceleration of train A over the interval 2 ≤ t ≤ 8. (b) Do the data in the table support the conclusion that train A’s velocity is -100 meters per minute at some time t with 5 < t < 8 ? Give a reason for your answer. (c) At time t = 2, train A’s position is 300 meters east of the Origin Station, and the train is moving to the east. Write an expression involving an integral that gives the position of train A, in meters from the Origin Station, at time t = 12. Use a trapezoidal sum with three subintervals indicated by the table to approximate the position of the train at time t = 12. 5. Let R be the shaded region bounded by the graph of y = xex2, the line y = -2x, and the vertical line x = 1, as shown in the figure above. 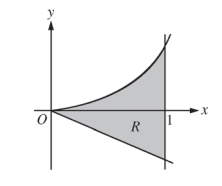 (b) Write, but do not evaluate, an integral expression that gives the volume of the solid generated when R is rotated about the horizontal line y = -2. (c) Write, but do not evaluate, an expression involving one or more integrals that gives the perimeter of R.